It’s so much fun to expand on books, especially books that are read again and again. All of the books on this list are ones that we consider must have’s. They either had (or still have) a place in our home library or were checked out from our actual library many times. 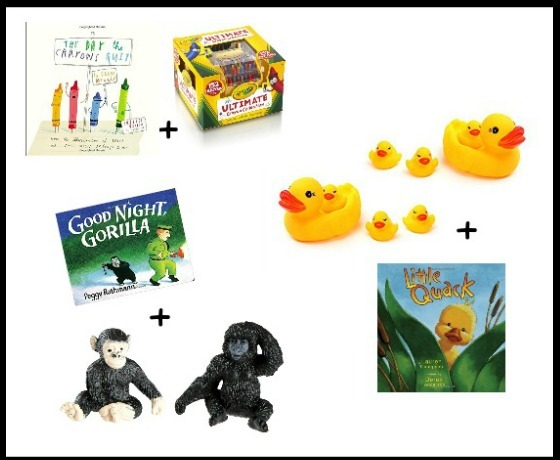 These book and toy pairs are perfect for preschool ages (but could also work for kids a little older). The links are affiliate links. Thanks for supporting Confidence Meets Parenting. Dragons Love Tacos by Adam Rubin + a felt taco for pretend play. 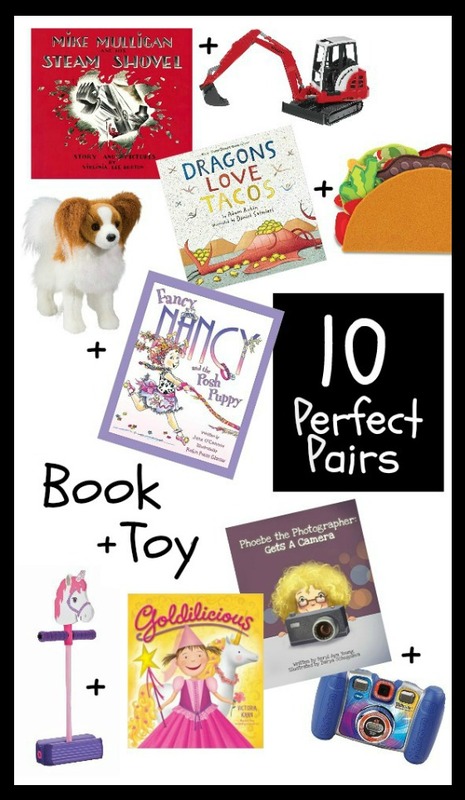 What book + toy combos do you love? Share ideas in the comments. Book and toy gift sets are a nice way to to make a present special, especially when grandparents insist that they giving a book is simply not enough!